When I first met Aaron (not his real name) I wasn’t sure how to be helpful. Aaron was homeless, had an addiction to alcohol, and was intensely aggressive and antagonist to anyone in authority. He would show up at church events intoxicated. He would shout and argue through meetings. Once he threatened to assault some of my team leaders in the parking lot after a meeting. He was a difficult individual who often bounced from ministry to ministry, rarely completing any class or counseling situation. I had no clue how to really be helpful and fell back on the two things I knew with certainty: (1) he was a person made in the image of God, and (2) he desperately needed the gospel of Jesus Christ. In many ways these are the basic guidelines for serving and ministering to all kinds of broken people. 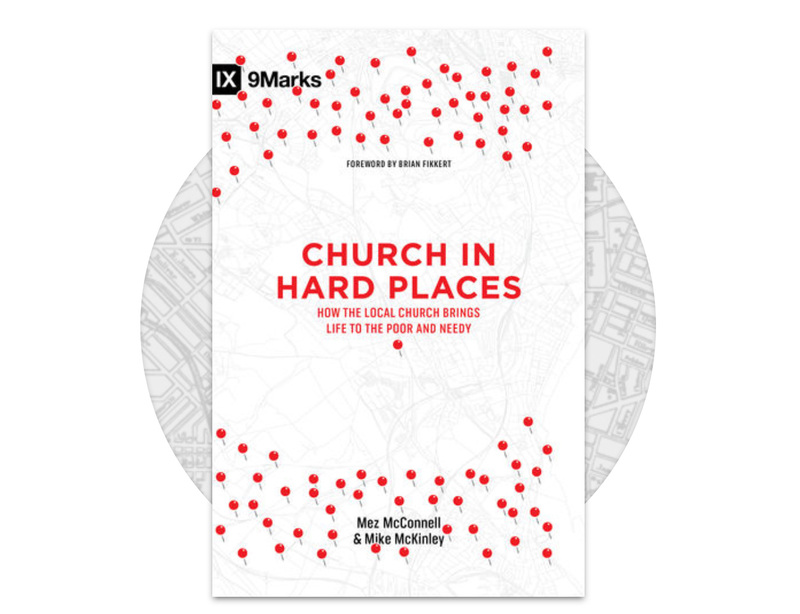 In their book Church in Hard Places, Mez McConnell and Mike McKinley know that as well. This book reminds us that ministry in “hard places,” while presenting some unique challenges, is actually guided by the same basic principles of all ministry. By that phrase “hard places,” the authors mean communities of “the economically and socially downtrodden” (20). They are quick to assert that all ministry is hard, and each type of ministry is unique, yet ministry among the poor is the particular focus of this book. It’s their focus because the church is so underrepresented in these communities. Few seem willing and ready to commit to long-term missional works among the poor. In some ways, we may say, they are an un-reached people around the world. So, the authors seek to help readers navigate the why and how of this kind of ministry. Both have familiarity with serving in these contexts. McKinley’s church, a wealthier church outside of DC, has a special ministry to poor immigrant families nearby. McConnell the larger contributor to this work, pastors a church within a Scottish housing project. His church is among the very “economically and socially downtrodden” communities that this book centers around reaching. His voice on this subject is a welcomed one. The book is broken down into three parts: The Gospel in Hard Places, The Church in Hard Places, and The Work in Hard Places. Each helps to unpack the relationship of its primary subject to the context of the poor. They help explain vital terminology along the way, words like “poverty,” “parachurch,” “missional,” and gospel. Their authority stems from Scripture and not primarily experience and they are careful not to prescribe a uniform approach to ministry, but rather help to establish guiding principles for the development of intentional ministries. The best part of the book, however, is the familiarity of its answers. In some ways this is a sort of typical book from the 9 Marks collection. Mark Dever’s original work 9 Marks of a Healthy Church established the basic practices of healthy congregations, things like sound doctrine, expositional preaching, church membership, Biblical eldership, etc. McConnell and McKinley take those same practices and apply them to churches in hard places. So, they have chapters on the gospel, on sound doctrine, on evangelism, preaching, church membership, and church discipline. This will be a surprise to many readers who are expecting something more grand or programatic in nature. The authors make a compelling case, however, for the importance of basic church work in these contexts. In fact, their chapter on parachurch ministries reflects a strong commitment to the importance and priority of local congregations for making long-term impacts in these communities. Parachurch ministries are valuable and may have their place, but they are not a replacement for God’s institution of the local church. Their chapter on preaching too reflects the 9 Marks bent on the authority, power, and importance of the preached word for life-change. In many ways this is a book different from other works on reaching the poor, and yet just the kind of book you would expect from 9 Marks and Crossway. McConnell’s contributions, illustrations, and stories add a flavor to this work that makes it a compelling read. His long-term work in Scotland and particularly in the Schemes of Scotland represent the kind of ministry that this book is about. It is an engaging read, as a result of his contributions, and his unique voice makes this a book worthy of a minister’s time. I highly commend this work to all those interested in minister in “hard places.” It is surely not the only book you will want to read. There are many related issues that this book does not address that will warrant your time, energy, and attention. Yet this book is so foundational and its message is important. Like my relationship with Aaron, the church in hard places needs to be guided by the same basic principles that all ministry is guided by. We need to love people, treat them with respect, listen to them and speak frankly with them, and we need to share Jesus with them. The church in hard places needs to look an awful lot like the church in every place, and that’s the compelling and perhaps unique message of this book.